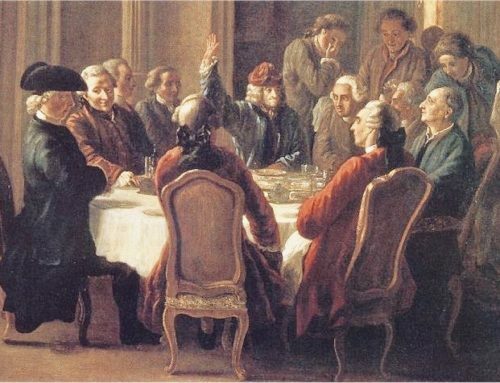 It was eleven years after the Declaration of Independence—and four years after American victory in the Revolutionary War—that a small group of delegates would convene in Philadelphia to create a new charter for governing the new nation. In order to comprehend this historic achievement we must first understand that this moment and the constitutional document that resulted were built on the great foundational principle of the rule of law. The rule of law may be the most significant and influential accomplishment of Western constitutional thinking. The very meaning and structure of our Constitution embody this principle. Nowhere expressed yet evident throughout the Constitution, this bedrock concept is the first principle on which the American legal and political system was built. A principle that itself is quite old and long predates the United States, the rule of law is the general concept that government as well as the governed are subject to the law and that all are to be equally protected by the law. Its roots can be found in classical antiquity. The vast difference between the rule of law as opposed to that of individual rulers and tyrants is a central theme in the writings of political philosophers from the beginning. In the works of Plato and as developed in Aristotle’s writings, it implies obedience to positive law as well as rudimentary checks on rulers and magistrates. The classic American expression of the idea comes from the pen of John Adams when he wrote the Massachusetts Constitution in 1780, in which the powers of the commonwealth are divided in the document “to the end it may be a government of laws, not of men.” It is hard to come up with a simpler definition. Second, the rule of law means that these rules are binding on rulers and the ruled alike. If the American people, Madison wrote in Federalist 57, “shall ever be so far debased as to tolerate a law not obligatory on the legislature, as well as on the people, the people will be prepared to tolerate any thing but liberty.” As all are subject to the law, so all—government and citizens, indeed all persons—are equal before the law, and equally subject to the legal system and its decisions. No one is above the law in respect to enforcement; no one is privileged to ignore the law, just as no one is outside the law in terms of its protection. As the phrase goes, all are presumed innocent until proven guilty. We see this equal application of equal laws reflected in the Constitution’s references to “citizens” and “persons” rather than race, class, or some other group distinction, as in the Fifth Amendment’s language that “No person shall . . . be deprived of life, liberty, or property, without due process of law.” It appears again in the Fourteenth Amendment’s guarantee that “No State shall . . . deny to any person within its jurisdiction the equal protection of the laws.” The rights of all are dependent on the rights of each being defended and protected. In this sense, the rule of law is an expression of—indeed, is a requirement of—the idea of each person possessing equal rights by nature. Matthew Spalding is associate vice president and dean of educational programs for Hillsdale College in Washington, D.C. This essay is adapted from his book We Still Hold These Truths (ISI Books), a national bestseller. I am so sorry to say it but our constitution does not provide for a reliable rule of law at all. This is because our constitution denies God the central civic place He in justice as our creator deserves. No law, and no justice, is possible in such a liberal society. Fascinating, ma’am. I’m just reading Ferrara’s Liberty, the God that Failed, and at very least the track record for legalism is unimpressive. If the point of the exercise is liberty one gets modern liberalism and decadence; if it’s God or similar one may have a fighting chance. How ideological (even quaint) the author’s piece looks these days. All men are created equal but slaves are 3/5 less equal than others.